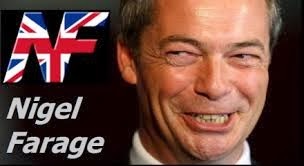 >Farage: Happy To Work With The BNP, & Opposed To A Referendum. This came into our hands today. It is an e-mail from Andrew 'Steve' Reed, who was until quite recently Nigel Farage's personal assistant in the European Parliament. It demonstrates the willingness of Farage's office to work with the BNP. It also confirms UKIP's instinctive opposition to a referendum on membership of the EU. Should any Faragistas ask us for evidence of the integrity of this evidence, we say only this. Sue us, you claim to know who we are, so drop us a summons. And then we will present that evidence in court! Technically, Mr Laybourne is right to describe a referendum on adherence to the EU as "treason". As for the exclusion of former BNP-members from UKIP-membership, this was absolutely essential to avoid the deluge of ordure the pro-EU mass-media would otherwise have had the opportunity to fling at UKIP; but why should it matter, to former BNP-members, if they are denied a UKIP-membership card? There is much they can contribute, without having a card! What is really important here? Having a card or making contribution? 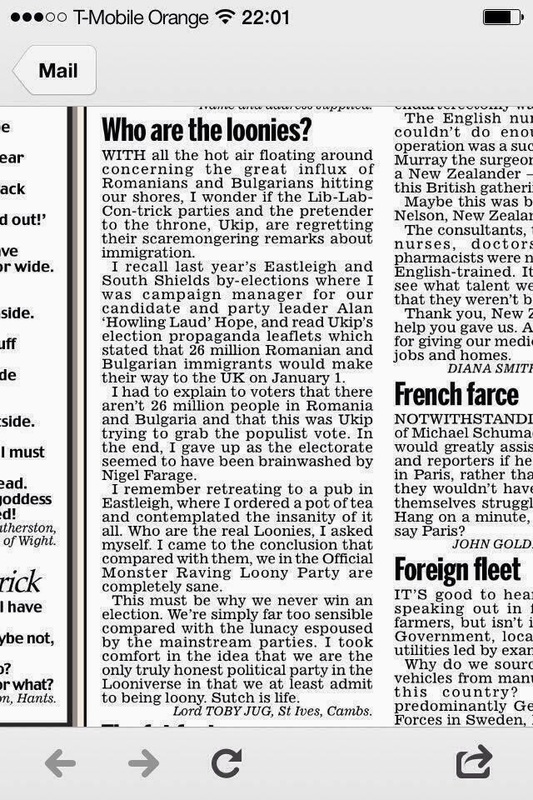 The purpose and role of the Monster Raving Loony Party is to entertain us, by parodying the political elites. They do this very well. But it is very rare that they engage with real issues. Now we see them doing exactly that with this very interesting letter from Lord Toby Jug. What he experienced is confirmation of Goebbels assertion that the bigger the lie, the more people there are who will believe it. 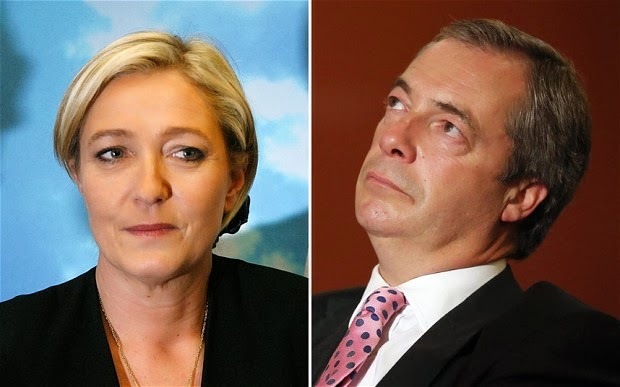 >Marine Le Pen says Front National and Ukip 'closer than they would like to admit'! In an article in The Telegraph, Marine Le Pen confirms what have been saying for some time now. A truly tangled web is being woven, as questions are being asked in Tory circles as to whether a politician associated with FN would be suitable for a peerage. Of course, these questions are coming from those Tories who are aghast at the idea of Farage receiving a peerage. 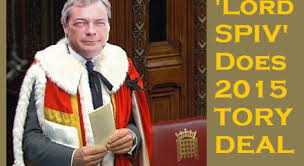 His sponsers don't care at all, they just want him to neutralise UKIP for them prior to the 2015 general election. Actually, it would not be such a bitter pill for Cameron to swallow. Just take a look at some of the crooks and cronies that are appointed to the Lords by the political parties. Farage would not be at all out of place there. 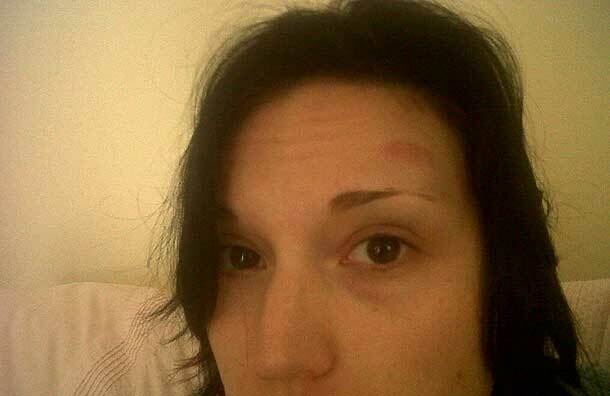 Annabelle Fuller complained to the Press Complaints Commission with the authorisation of Alexandra Phillips. The complainant was concerned that the newspaper had wrongly linked Ms Phillips with allegations of racism and had relied on information obtained from Facebook that was the subject of a police investigation. The complainant alleged a breach of Clause 3 (Privacy) and Clause 10 (Clandestine devices and subterfuge) of the Editors' Code of Practice. Oh dear! It seems that hardly a week goes by without another UKIPPER landing up in the tabloids for a racist or homophobic outburst. Annabelle Fuller's attempt to clear Alexandra Phillips' name seems not to have worked out so well. The revolution always devours it's own children, and the vipers have turned on Godfrey Bloom. It's actually a classic example of how the old adage works in practice: Bloom has been making daft, headline grabbing statements for years. It has been his traditional role in UKIP. All of a sudden, a casual remark about women being "sluts", and he is thrown to the wolves. The time for all that has passed, Godfrey, and they didn't tell you. Goodbye. "Bloom accuses Ukip's leader of pursuing an "Ein Führer" leadership policy and a "No-policy" policy agenda, and claims Farage has already struck a secret election deal with the Tories in return for a seat in the Lords." This is, of course no secret. But Bloom has now placed this officially in the public domanin. Farage will be aware that the press have been asking questions on this matter recently. The problem is, they have been asking the wrong people at Central Office. That particular cadre no more want to see this come out than Farage does. At least not at this particular moment. After the 2014 Euro elections, however, Farage knows his moment will come.